1. Motor: 22 level brushless DC motor，KV2300-2600. 3.Propeller type: 5040\5045\5050\5550 two blade and multi blade propeller. 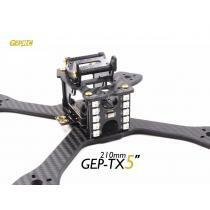 Recommended adapter: race DALProp CYCLONE T5045C DALProp 5040, DALProp 5045, free flight: DALProp T5046. 4. 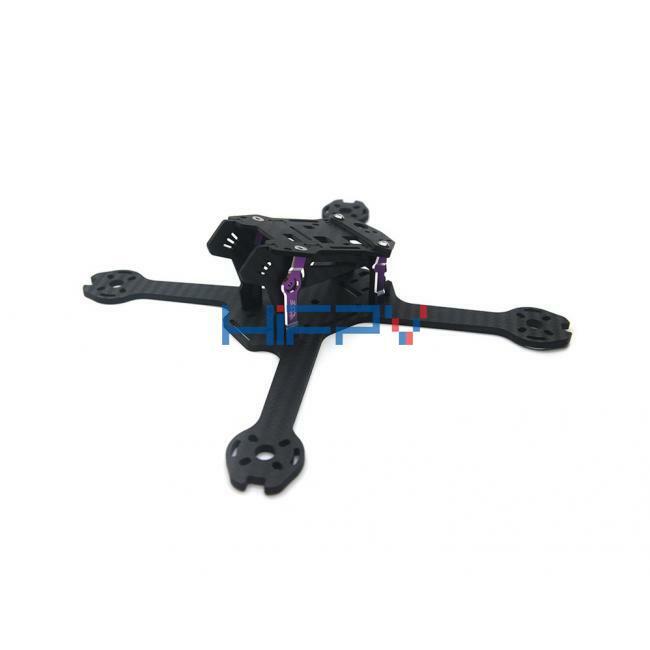 FPV camera: HS1177, HS1190. 5. 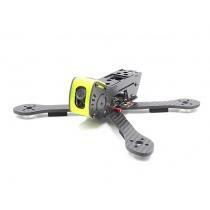 HD camera:LEGEND 2 GOPRO2-3-4, GOPRO-SESSION, Yi, and so on. 6. Flight control: F3, integrated flight control tower. 1. 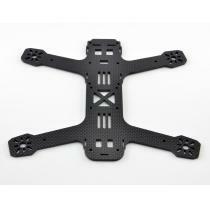 All the carbon fiber plates are made of custom-made pure carbon fiber 3k cloth and military grade epoxy. The parts are cut with a certain angle to ensure the strength as well as the flexility of our frame. 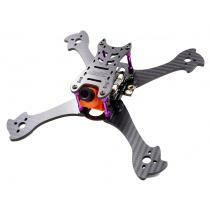 The frame becomes more endurable if you use 3M 171 glue around the side of the carbon fiber plate. 2. 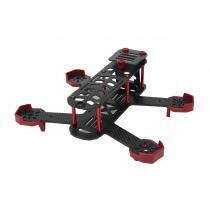 To reduce the wind drag, the arms are designed to be narrow (only 14mm wide), with the upper plate tilted. A platform is designed for installing HD camera. Batteries can be placed there if you don’t need a camera. This not only reduces battery accidents but also gets the machine’s type heart closer to its center of gravity, which makes the machine swifter. 3. 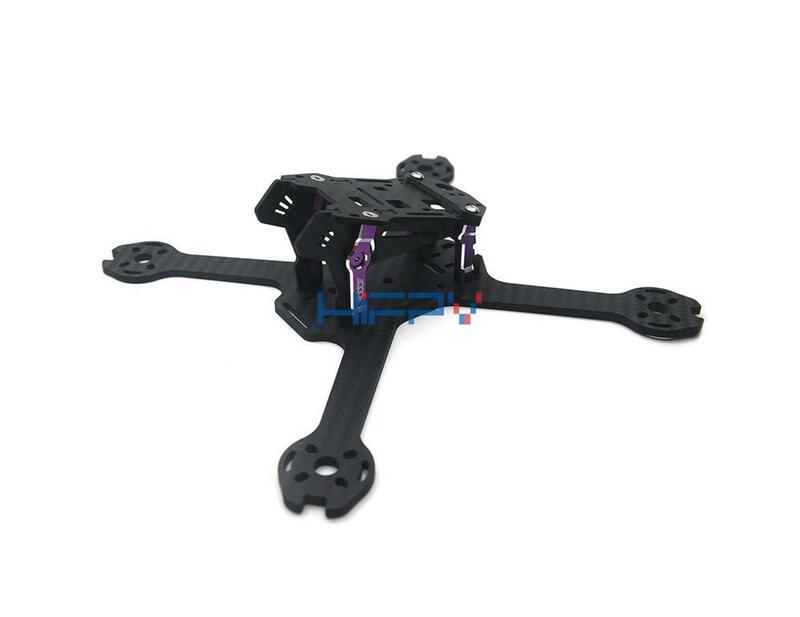 Four pure carbon fiber protectors, nice and light, are designed so that the ends of the arms are less easily broken. Unlike the heavy motor protective cover which increases wind drag and is not good for heat dissipation, this design helps to prolong the service life of the bottom plate and saves the cost of replacement. 4. Instead of the commonly used round mounting aluminum cylinder, high strength aluminum alloy support is used in our design. The mortise and tenon structure on the side plates can transfer the forces on the upper and the lower plates, which makes the frame into a whole and increases the strength of the main body. 5. For the design of the other parts, we take your convenience into full consideration.